The West Atlanta Watershed Alliance (WAWA) joins the U.S. Environmental Protection Agency along with additional federal and community partners to reconnect West Atlanta communities with their urban waterways, while improving the water quality and restoring the ecosystems of the Proctor Creek Watershed. Proctor Creek is one of only 11 communities nationwide to be selected for the partnership. 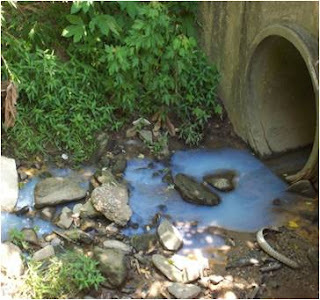 WAWA Board Chair Na’Taki Osborne Jelks will highlight how the partnership will help restore the troubled waterway plagued by illegally dumped tires, high bacteria levels, pollution, and flooding into an asset for the community— led by efforts of the watershed’s residents. While the availability of funding through the Urban Waters Federal Partnership is unclear, it will seek to promote more-efficient use of federal resources through better coordination and targeting of support for local groups. The Proctor Creek Watershed Stewardship Council will leverage these resources to restore degraded habitat, address illegal dumping and other pollution, promote public access to the watershed, and help manage stormwater and flooding that impacts Northwest Atlanta communities. When: Friday, May 17, 2013, 11:15-11:45 am. What: Proctor Creek Urban Waters Federal Partnership announcement. Stan Meiburg, Deputy Regional Administrator, EPA Region 4.